Started in Sfante Gheorghe, Romania, with 18 blocs and 23 entrances, it was extended to Brasov in 2009 to include 1 building (3 floors) and another 8 buildings (10 floors each). The Brasov work was completed in three months. The energy savings in winter months is estimated to be at 50% per apartment with a three-year payback. The program is funded by state funds and a contribution of $400 by each apartmenmt owner – or about 20% of the installation cost. Both the Sf. Gheorghe and Brasov work was completed by Bi-Turn Construction. 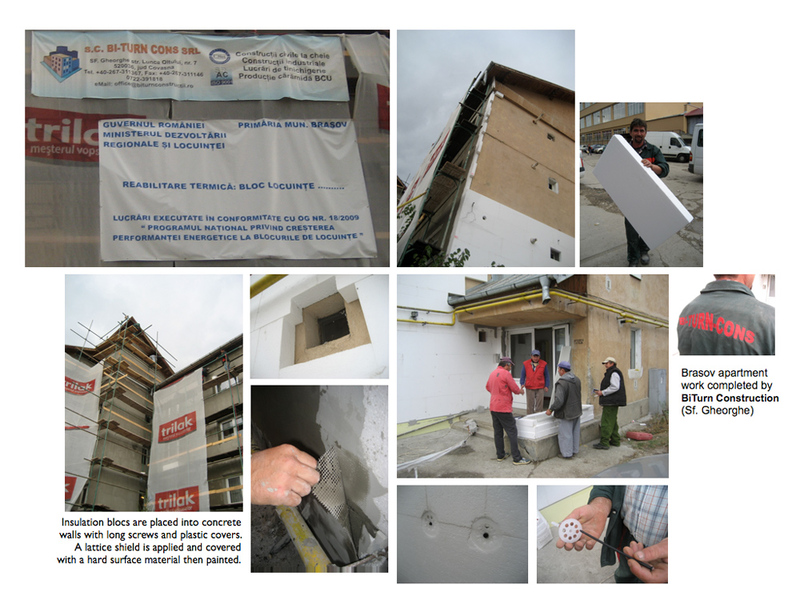 In October 2009, the company was designated “BEST OF ROMANIA” for Private Home (see house project) construction at a Vienna, Austria, European awards events.